Jock Safari Lodge is named after local legend, Jock of the Bushveld, the canine hero of Sir Percy Fitzpatrick’s famous story set during the gold rush era. 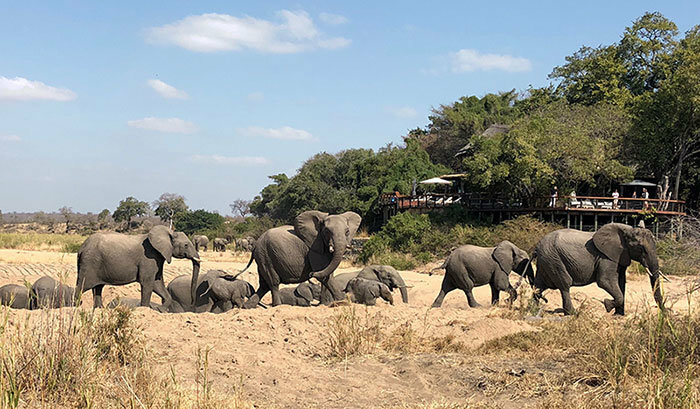 With 6000 ha of exclusive traversing rights within the Kruger National Park, Jock offers excellent Big Five game viewing, daily game drives and wilderness walks. The newly refurbished lodge retains the timeless style and elegance of a classic safari lodge, paying homage to its rich history and heritage, with the addition of modern comforts and conveniences. 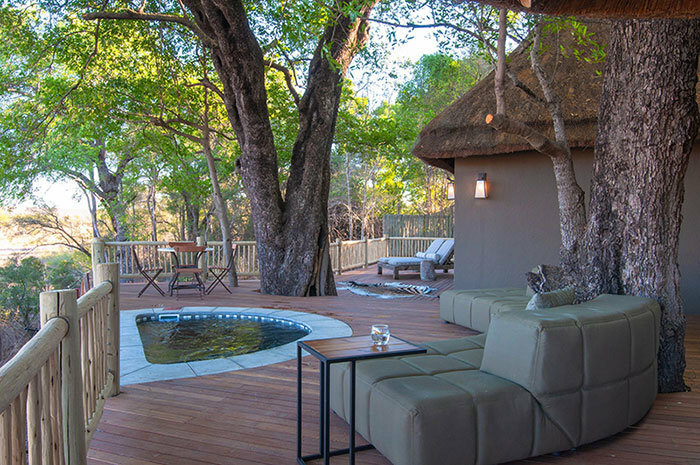 At the main lodge, 12 secluded thatched suites offer privacy and uninterrupted views of the riverbed. All suites offer extensive private decks, an outdoor Victorian bath and shower, as well as a plunge pool and an enclosed sala (day bed) for daydreaming and sleep-outs. The private camp, Fitzpatrick’s at Jock welcomes children and caters for small parties and families with three luxurious suites, including a family suite. 2 x Game Drives per day, guided wilderness walks, all meals, high tea, a selection of house beverages, VAT and tourism levy. and complimentary wi-fi, Heated pool with deck. There is also assess to play Golf at the esteemed Leopard Creek Golf Club at an additional fee. Fitzpatrick’s Lodge: Rock swimming pool, Lounge with television and library, Second lounge with fire place, Indoor and outdoor dining facilities, Complimentary wi-fi, In-room spa treatments, Assess to Main Jock to make use of the spa, exercise room or gift boutique. There is also assess to play Golf at the esteemed Leopard Creek Golf Club at an additional fee. A Conservation levy must be paid on entry to SanParks, you will be required to provide your accommodation confirmation letter as well as proof of identification in order to enter the park. Due to the rules and regulations of the Kruger National Park, nobody is allowed on any KNP roads during the period of gates being closed. Therefore guest must be at their destination by the time gates close. Gate times vary between seasons. Terms are applied to children stay at Main Jock.